A lot of us dream of building a killer website that could complement our incomes over the long term. It’s a tall order, but certainly achievable – as long as you have enough time and suitable resources to dedicate to the process, that is. Getting a website up and running takes time – there’s no way around it – but there is another option. You could, for example, buy a finished site that’s already proven to be a good money earner. It might require a greater financial investment up front, but you’d likely save time in spades. The idea of buying a website may sound alien to a lot of people, so in this article we’re first going to break down the main benefits of doing so. Following on from that, we’ll discuss where you can find quality sites for sale, and how to spot the winners among them. Buying a website works very similarly to exchanging other types of properties. In most cases, people do so through intermediary platforms that protect both parties. The buyer finds a ‘property’ (i.e. a website) he likes and then either submits a bid or pays a set price through the platform, then the seller hands over ownership of the site. Easy as pie. As we mentioned earlier, you might simply not have enough time to create and grow a website from scratch. Perhaps you’re a natural when it comes to website management, but not so much when it comes to putting them together. You’re looking to make an investment. If you meet any of the above criteria, then you might consider buying a website. For those of you seriously toying with the idea, let’s now get onto what you need to know about the where and how. There are plenty of marketplaces where you can look through websites for sale, but as far as quantity and quantity go, the following three are our favorite. Since its launch in 2009, Flippa has helped broker nearly $190,000,000 over thousands of transactions. These days, they’re the biggest website marketplace in the field, and also help broker apps and domain names. If you’re looking to buy a website through Flippa, you get access to several categories, including starter and established sites. The platform provides you with all the information you need to determine the worth of a website, including traffic and history. Unlike Flippa, Empire Flippers only accepts submissions of established websites. An average property listed on their platform is likely to be at least a couple of years old and have a substantiated revenue stream. As you’d expect, Empire Flippers facilitates all the information buyers require to vet their purchases – from traffic records to detailed proof of earnings. They even provide you with a rough estimate of how much time you need to invest per week to keep your purchase up to date. EF International is by far the most premium out of all three marketplaces listed here. If you’re looking for a starter website, this is probably not the best place to do so. On the other hand, if you’re looking to make a significant investment, EF International should be a great fit. They provide buyers with a support network of brokers to advise them through the entire process, including assuaging any doubts related to post-sales maintenance and all the legal documents that need to be taken care of. Now that you know where to look for your next purchase, it’s time you learned how to spot a winning purchase. There’s definitely some work involved, but that’s true of any investment. It’s had more time to build an audience organically. You’ll get access to historical data concerning its (hopefully consistent) earnings. It’s been proven to stand the test of time. Finding the age of a domain is pretty straightforward. All you need to do is copy its address and paste it into a tool such as the Domain Age Checker, and presto! Note that a domain’s age may not necessarily reflect the age of the site in question (as they are essentially two different entities). We recommend that you look to corroborate the actual age of the site in its current guise with its domain age. A quick browse of the Wayback Machine may give you what you need on this front. When we talk about traffic history, we’re referring to how many people visited a site during a specific period. Once we have that information, the next step is to break it down into its sources. Did those visitors come from search engines, social media, or referrals? Both these factors are critical when assessing the value of a website. Simply put, a site with a bigger audience will almost always be more valuable than one that’s just starting out. 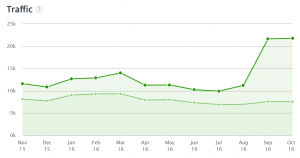 All the website marketplaces we mentioned above include traffic history and sources information. Keep an eye out for any red flags from traffic sources, such as large percentages of visitors coming from countries that you’re not interested in marketing to. If at first glance the numbers and sources look good, we recommend that you take a second look just to make sure. 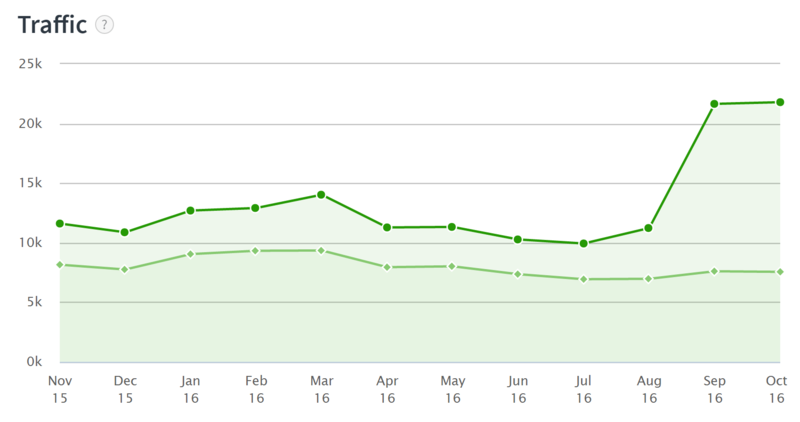 Check out the Traffic Rank tool, which provides you with traffic data for the past seven years from Alexa and see if the numbers match up. The last key factor you need to consider when looking over a website is Search Engine Optimization (SEO). More importantly, you want to make sure the website has a SEO-friendly setup – which it should if it’s receiving a good amount of organic traffic. Killer SEO is not always a must when considering whether to purchase a website or not. After all, you can always improve on it with a little work. What you need to consider is whether the website in question is follows good practices; otherwise, you might get penalized down the road. Poor content quality, which usually reflects in articles written expressly to bump certain keywords. Unoriginal content which ‘borrows’ liberally from other sources. 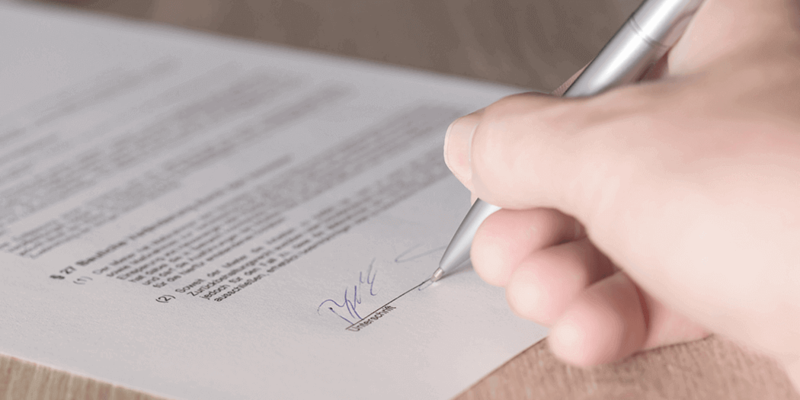 Before you sign on the dotted line, always make sure to thoroughly check the website in question for any of these red flags. If you have the time, there are plenty of other warning signs you can be on the lookout for. How long the site’s been around. Its traffic sources and performance. Whether it follows good SEO practices and how well it ranks. Have you ever bought or sold a website, or is there something holding you back from trying it out? Share your experiences with us in the comments section below!